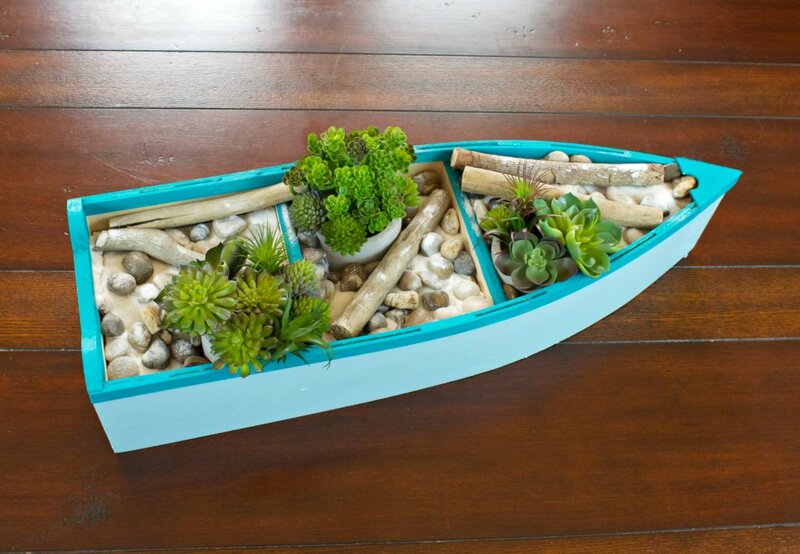 Make a boat planter DIY to decorate your home with. 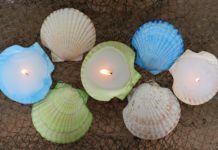 I just got back from a fabulous vacation in Costa Rica and I still have the beach on my brain! I just love the ocean and the beach! 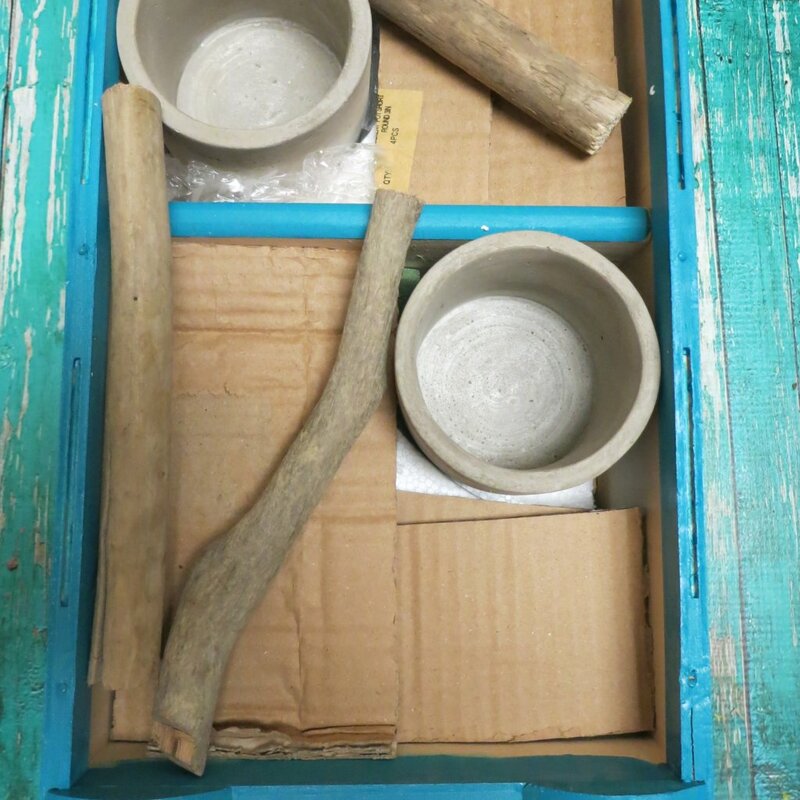 I’ve been adding nautical elements to my bathroom to help me feel like I’m at the beach even when I’m landlocked. This project really added some color to my tub area! 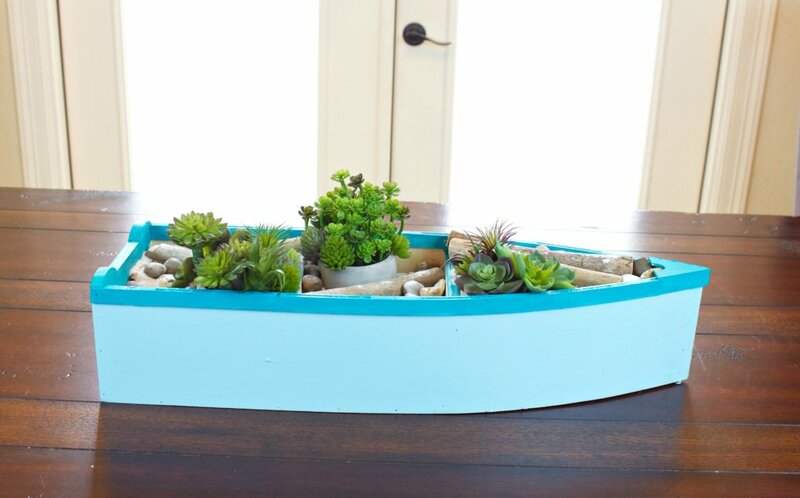 This wood boat shelf has been turned on its side to create a nautical planter! I was inspired by a rocky island beach for this piece, so I incorporated driftwood and accent stones into the design. 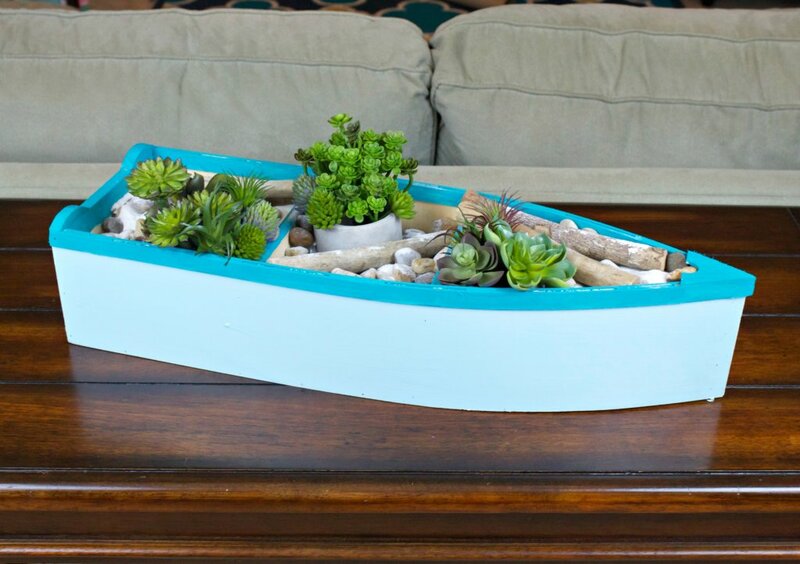 Keep reading to learn how to make this boat planter DIY. Paint the bottom and sides of the boat. 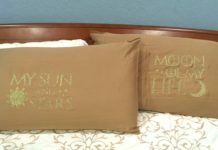 I used “Pool” from Waverly Inspirations by Plaid Crafts. After the first application dried I added a second layer of paint. 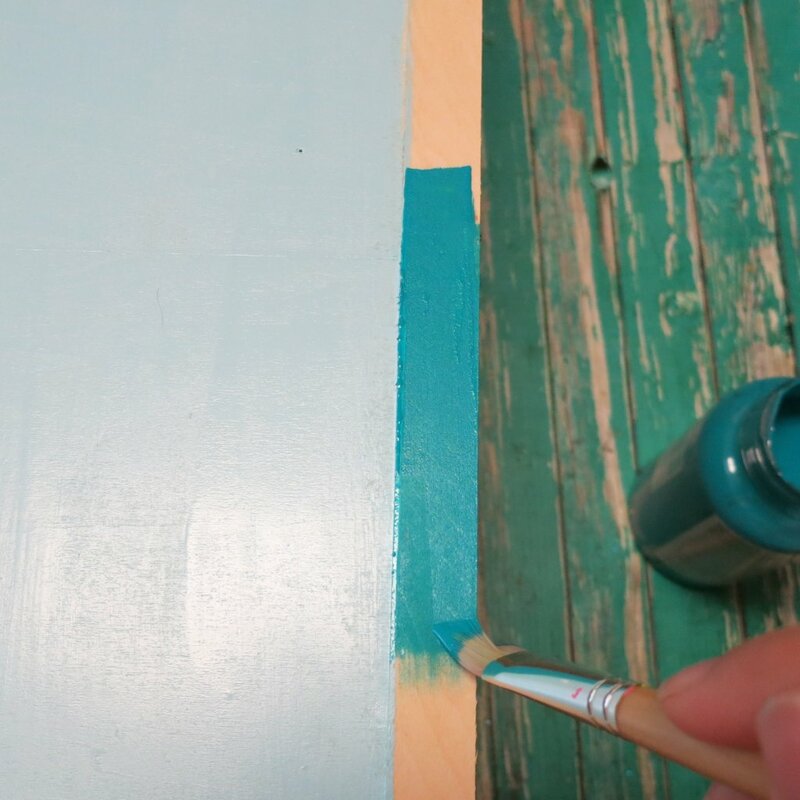 Paint the trim and interior of the boat with a contrasting paint color. I used “Caribbean” by Waverly inspirations. 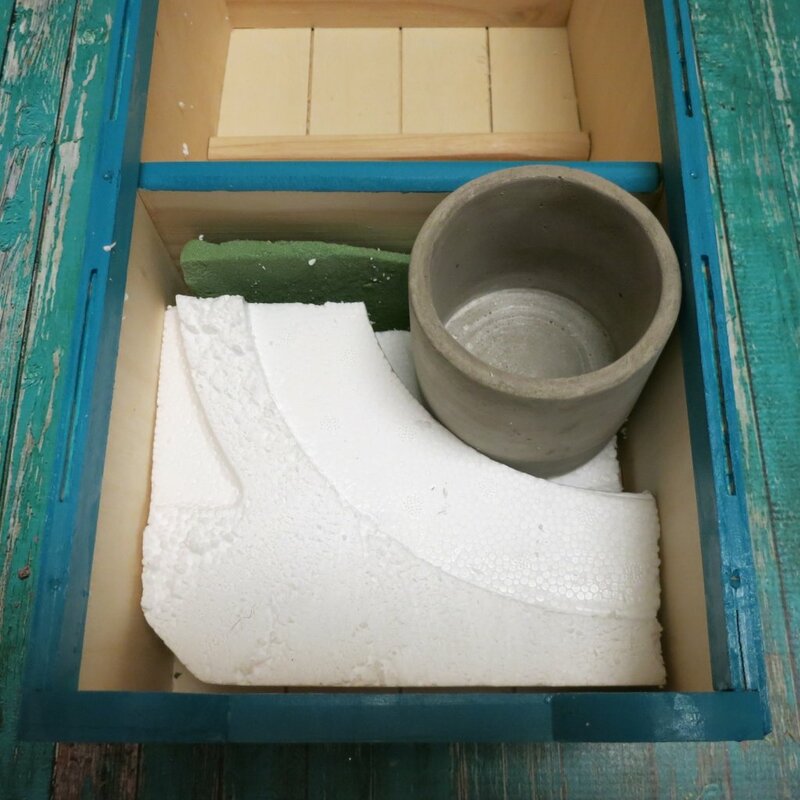 Cut scrap pieces of styrofoam to fill the bottom of the boat. Don’t worry, no one will see this part so it’s ok! The cement planters and rocks are heavy, so I wanted to use a lightweight filler to take up the empty space in the large boat. Otherwise this piece would be really heavy and hard to move! 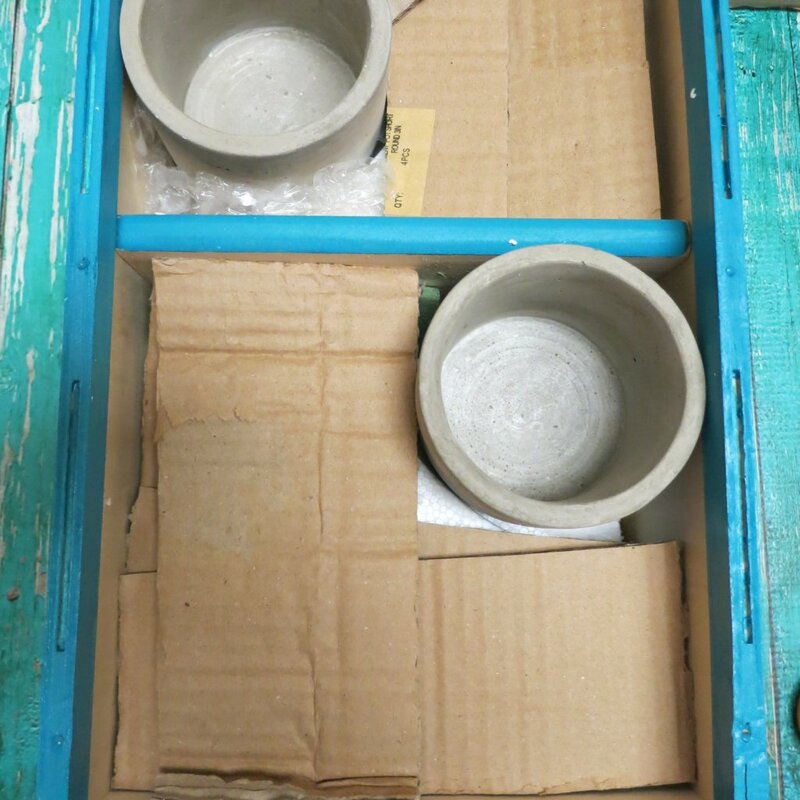 Add the cement planters to the boat, placing one planter in each section. 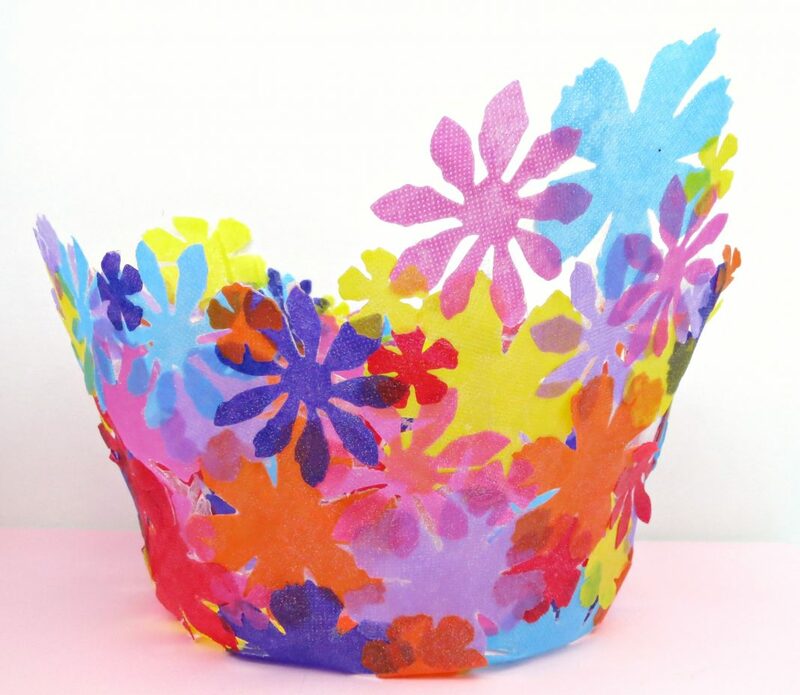 Then cover the styrofoam with cardboard cut from a recycled box. Place one or two pieces of driftwood in each section of the boat. 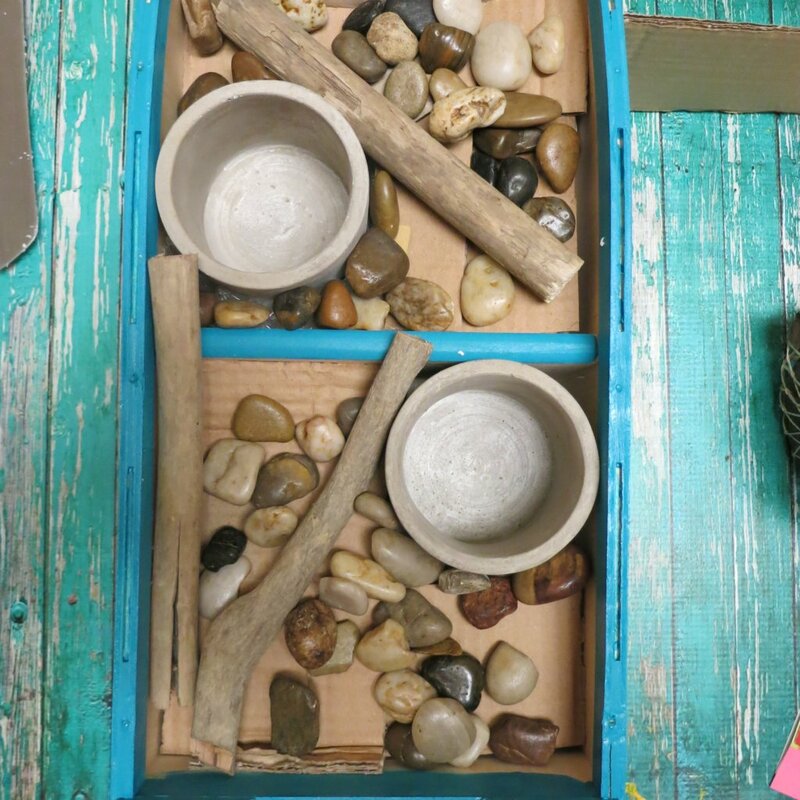 Add decorative rocks around the driftwood. We’re slowly filling in our planter! 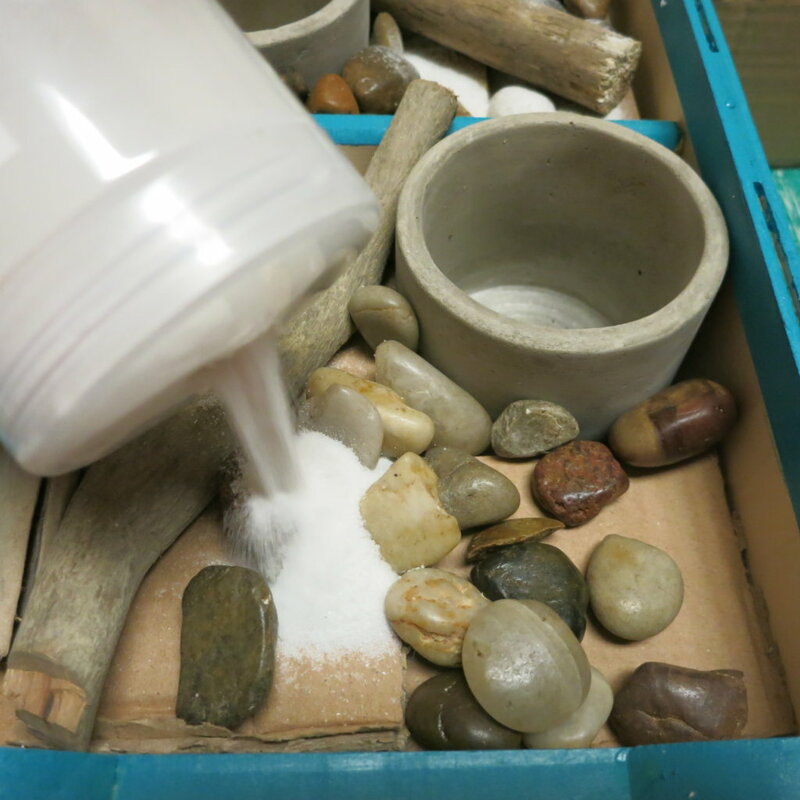 Pour white sand over the rocks to cover the cardboard and complete the beach scene. 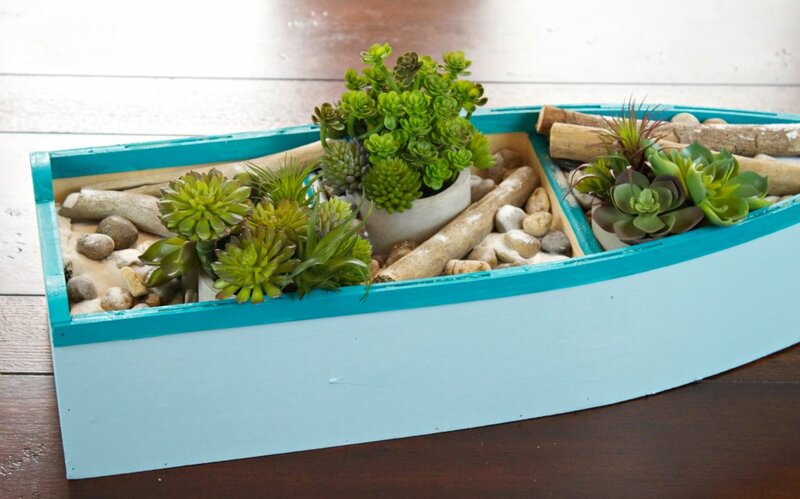 Arrange succulents in each of the planters. 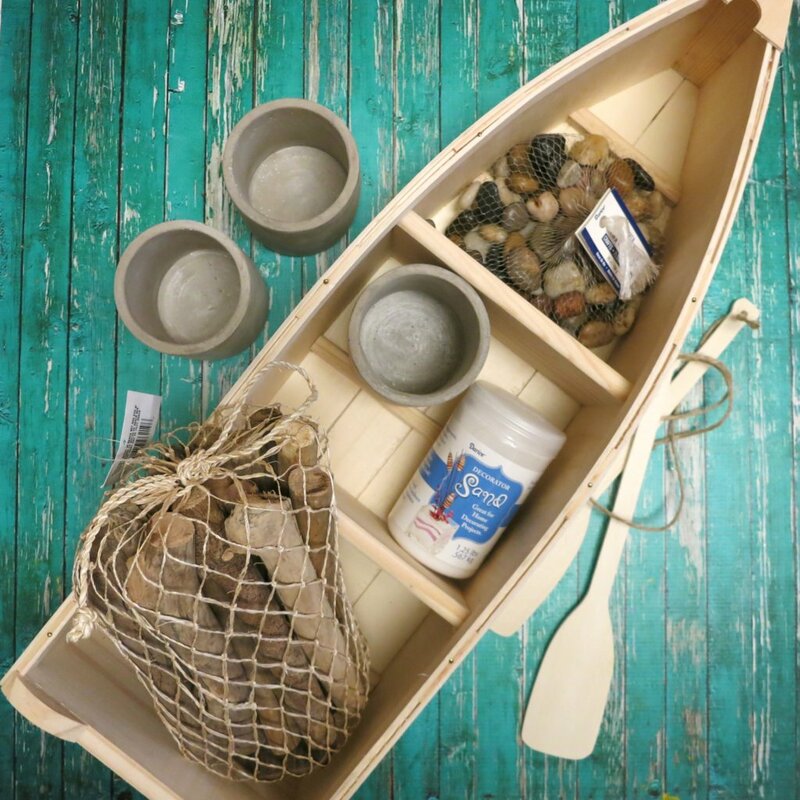 Have fun crafting and creating nautical decor! 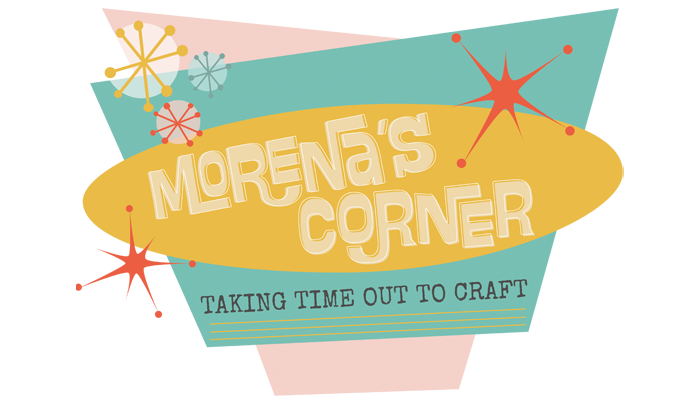 If you enjoyed this project, you’ll love my seahorse wall art! 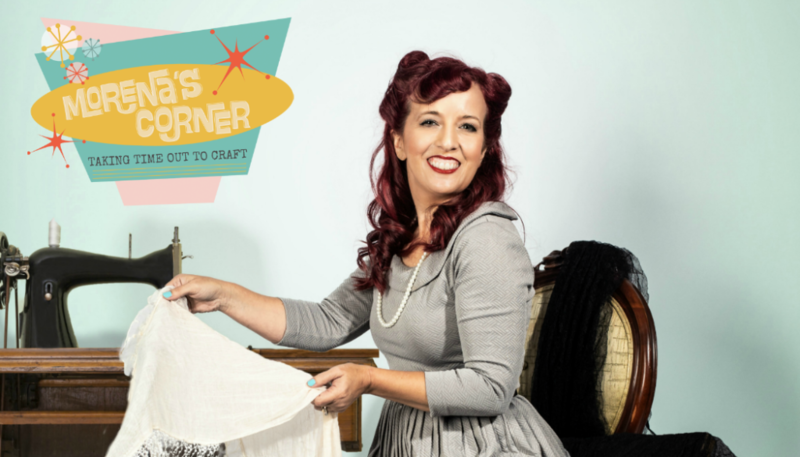 I originally published this tutorial on the Darice blog where I am a contributer.